Android supports sideloading, which allows you to install apps from outside of Google Play. However, this is disabled by default. 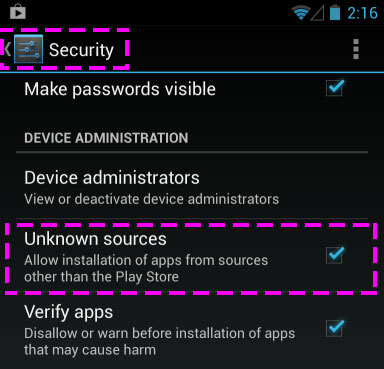 To enable sideloading, open the Settings app on your Android, tap the Security category, and enable the Unknown sources check box. Read what Android has to say about sideloading of apps. You can also sideload apps onto your Android device in other ways. For example, if you have an APK file on your computer, you can use the excellent AirDroid app to upload it to your Android device and install it without even connecting your Android device to your computer.